Abu Dhabi: Airport Road has always been one of the key thoroughfares in Abu Dhabi, connecting the first settlements around Qasr Al Hosn to the mainland and on to the rest of the UAE. The road has now been marked for a redevelopment project that will also help revamp the feel of the emirate over the next three years, top municipal officials said in the capital Tuesday. “A total of Dh5 billion has been earmarked from the Ghadan 21 stimulus to upgrade the quality of life in the emirate of Abu Dhabi. These funds will be used for 65 different projects that are geared towards making the emirate the most attractive place for work, leisure, living and entertainment,” Mohammad Al Khadr, executive director for strategic affairs at the Abu Dhabi Department of Urban Planning and Municipalities, told Gulf News. The capital will see the biggest injection of redevelopment funds, amounting to about Dh3 billion. Some of the key upgrades will soon be visible along Airport Road, which stretches from the Abu Dhabi-Al Ain Highway down to the Abu Dhabi Corniche. The road is an arterial link that is lined with high-density residential neighbourhoods, and the upgrades will improve walkability along the route. “We are also looking at a unique sense of branding for this historic road, using artwork on buildings and facades, focused lighting and a series of public spaces,” explained Hamda Al Hashemi, senior designer at the Department. A similar sense of vibrancy will also be incorporated into the high-density neighbourhoods on the northern side of the island that are located between Corniche Road and Hazza Bin Zayed the First Street. Al Hashemi said a sample project has already been carried out at a block near the Khalidiyah Park, and its feel will be replicated in other spaces. “These are some of the most densely populated areas in the emirate, but there has been minimal redevelopment in recent years. The plan is to charge them with new energy and improve the overall aesthetics,” Al Hashemi said. On the southern side of the island, beyond Umm Al Emarat Park, there is also an abundance of green spaces that are not fully utilised at present. Retail offerings and other amenities will be included along these neighbourhoods. Another main element includes the refurbishment of 11 existing parks in the capital. For instance, the Khalifa Park will be revamped to provide visitors with a historical desert experience through the reinstatement of indigenous wildlife and plan species. Heritage Park along the Abu Dhabi Corniche will see the installation of gateway sculptures, an urban forest and elevated pedestrian walkways and plazas. “We will also introduce more projects for Al Ain, Al Dhafra and mainland Abu Dhabi, but these are currently being finalised,” Al Hashemi said. A major road project will soon improve the connectivity of Mina Zayed area to its surroundings, a top transport official has said. 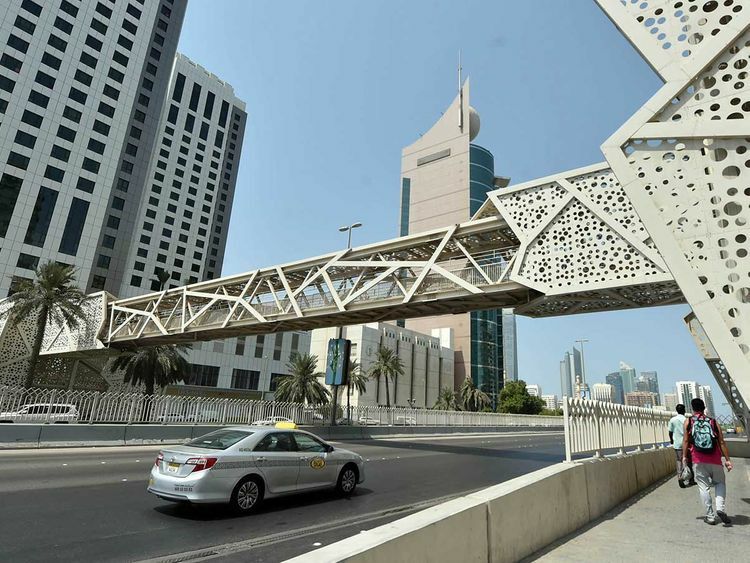 The Mina Zayed road network project will allow traffic to flow freely from the Shaikh Khalifa Bin Zayed Highway down to Corniche Road, Shaikh Zayed Street and Hamdan Street, said Badr Al Qamzi, executive director of roads at the Abu Dhabi Department of Transport. “The Dh1.3 billion project is currently in the tendering stage, and it will soon be awarded. From then on, the project should take 42 months to be completed,” Al Qamzi said. As part of the project, a tunnel will be built to connect the Shaikh Khalifa Highway to the Shaikh Zayed Tunnel and the Corniche Road. The tunnel will have five lanes in each direction, and will be able to accommodate 10,000 vehicles per hour per direction. A two-lane road will also branch out and connect the highway directly to Hamdan Street. “In future phases, we could develop further links to connect the area directly to Al Reem Island and Al Maryah Island,” Al Qamzi said.